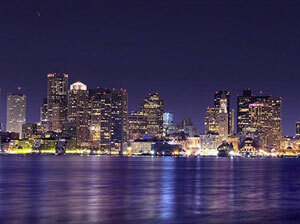 Our corporate headquaters is located at 160 Commonwealth Avenue in Boston’s Back Bay. 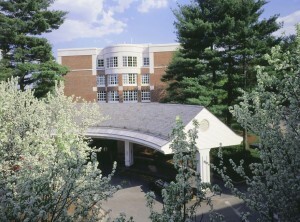 Emerson Hospital in Concord, Mass. Emerson Hospital is a well-known community hospital about 16 miles west of Boston. Emerson Hospital is fully accredited by the Joint Commission on Accreditation of Healthcare Organizations (JCAHO) and has received their Gold Seal of Approval. The Joint Commission conducts rigorous surveys to ensure that hospitals nationwide are adhering to the strict standards of care mandated by the state and federal governments. Emerson’s Clough Surgical Center is a new state of the art Ambulatory Surgery Center staffed by Registered Nurses and Board Certified Anesthesiologists who are expert at caring for outpatient surgery patients. Emerson is known for its high quality personalized patient care. Health care professionals at Emerson Hospital go the extra mile to provide friendly, compassionate personal care to our patients. This is a tradition now found only in community hospitals where staff feels the extra responsibility of taking care of friends and neighbors from their own community. It is a spirit that is often missing in the large major medical institutions today. My patients always express to me how warmly and professionally they were cared for at Emerson. Follow Route 2 or 2A East to the Concord Rotary. Proceed on Route 2 approximately 1 mile; Take a right at the third set of lights (after the rotary). This will be Old Road to Nine Acre Corner. The entrance to the hospital will be on your left. Follow Route 2 West to Concord. Route 2 takes a sharp turn to the left at the intersection of Route 2A (at the bottom of the hill). Stay on Route 2 past two more intersections, Walden Pond/Route 126 and Sudbury Road. You will see the hospital on your left. At the next set of lights, take a left onto Old Road to Nine Acre Corner. The entrance to the hospital is on our left.